A few days ago my review of the Tassimo T55 brewer went live. I have been enjoying it ever since it arrived on my doorstep. It’s the perfect item for any coffee lover, and would make a great holiday gift. In celebration of Cyber Monday here in the US, Tassimo has released a special deal. By using the code TACYMON3 at checkout on the Tassimo site, you will receive 20% off your order of T Discs. The code is also good for 20% off all brewers (plus, you’ll receive 2 free packages of T Discs when you order a brewer!). Act fast, because this code is only good today, December 2nd, and it ends at 11:59 PST. Please note: Valid in the US only on TassimoDirect.com. Cannot be combined with other offers. Limit 1 coupon redemption per customer. 20% T DISC discount limited to 6 T DISC packages. 20% brewer discount limited to 2 brewers. Offer valid only on 12/2/2013 and ends at 11:59PM PST. I have never used one of these, so I’m not sure which would be my favorite. Frankly, I think they ALL look pretty cool. This would be such a nice coffeemaker to have. Thank you for the opportunity to enter to win it. The T47 – super high tech! Besides the obvious brewers, the ceramic mugs with silicone band look pretty cool. 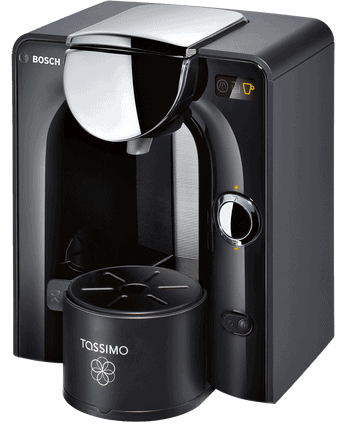 I like the idea of single cups,the TASSIMO T20 looks nice. I like the Milka Hot Chocolate! I like the TASSIMO T55, I love that I could make a vanilla latte AT HOME! I honestly wouldn’t want any other brewer than this one! Such a great machine from what I’m seeing! I would like a nice coffee maker to have for when guests come over. Luv to have this under my tree. I’d love the Tassimo T47 Home Brewing System. I like the Tassimo T47 is the perfect one. I would like the Tassimo T20 and try the GEVALIA Peppermint Mocha . The Tassimo T20 looks great! Besides a brewer, which would be fantastic, I would love the Peppermint Mocha T-Discs. The Tassimo T55 Looks awesome! I like the Tassimo T47. There are so many different flavors of coffee and drinks you can make with this machine. Plus, it’s done in about a minute. Their site offers every hot drink cocoction you can think of from lattes, coffee, tea, etc. The T55 single cup would work for us. Love that they have Mocha! Yummo! I’ve been wanting one of these! TASSIMO T20 looks really sleek and useful! Thanks for the giveaway! I would like the TASSIMO T20. I like the Tassimo T20 brewer. I like the Tassimo T20.